Maadly broadcasts content to other users based on the poster's changing Karma Score. 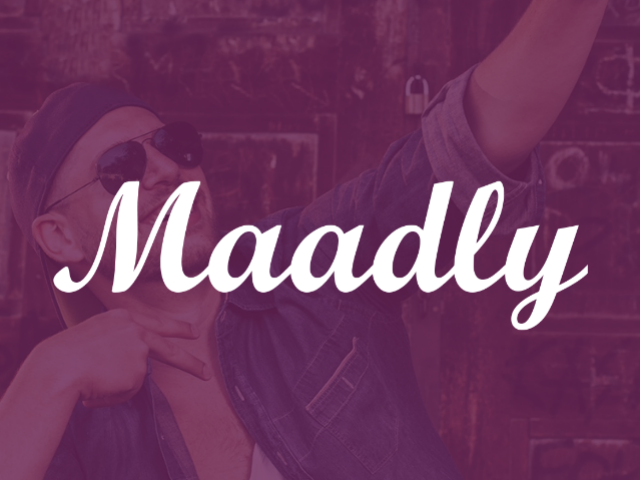 Maadly has released its mobile social media platform of the same name, built based on the premise that everyone is a little crazy and therefore interesting in their own way. The app allows users to share messages with the world, called “Beats,” comprised of text messages, photos or videos, with Beats shown to users randomly based on the poster’s Karma Score. The app doesn’t include features like following or friends lists, instead allowing each piece of content to be viewed by large potential audiences. The poster’s Karma Score increases each time other users like or engage with their Beats, and will decrease if users dislike or report their content. The higher a user’s Karma Score, the more people each future Beat will reach. When creating an account, users can customize their experience by choosing to view Beats from men, women or both. While users can share personal information with others, they can also remain anonymous if they choose. Within the app, users receive new Beats in a personal feed, and can tap and hold to view each one, including any associated videos or photos. By swiping right, users can like or dislike a Beat, or view additional Beats from the same user (where available). Swiping left allows users to report the content as inappropriate, or delete the Beat from their feed. As users post their own Beats, a separate tab tracks responses and interactions, while a heart at the top of the screen allows users to view their Karma Score. Life is random and unexpected. We wanted to mirror this in the app because it’s what makes life beautiful. That’s why any text, photo or video a user sends goes out randomly, no following or friending required. You never know [who will] receive your message, and you never know [who will] decide to engage with it. This uncertainty generates a very real, raw and genuine environment on Maadly. It lowers the barriers for self-expression and interaction since every user is a stranger communicating with other strangers, near and far. Maadly is available to download for free on the iTunes App Store.